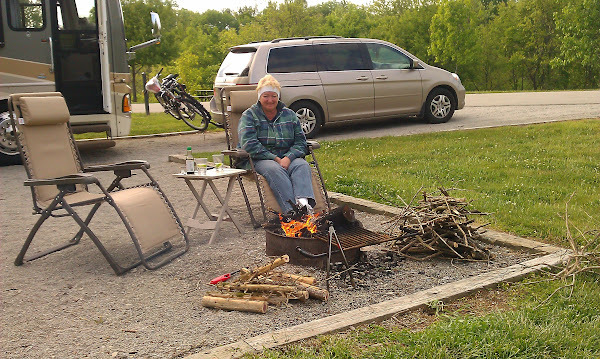 On Sunday morning, our planned departure day from Taylorsville Lake Campground, we decided to hang out another day, rather than move someplace that might cost more or that we might not like as well. There are no sewer hookups here but after the two previous days our grey water tank was only about half full so that was not an issue. The rate here was $23 for Sun-Thu less 10% (AAA or Senior) for a total of $20.70. The next campground we were planning to visit (Little Farm on the River) takes Passport America but only Mon-Wed so the cost there on Sunday would have been $33 not including a Good Sam 10% discount that they will take anytime. 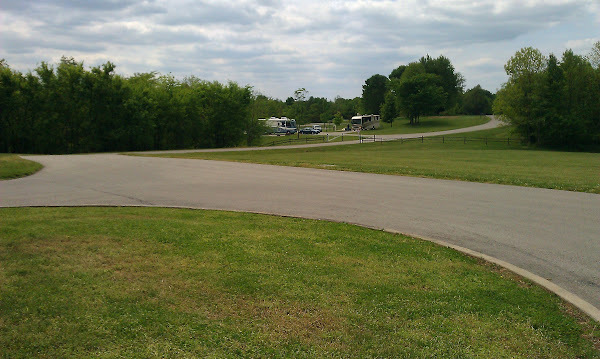 Friday night the Taylorsville Lake Campground had nearly filled to capacity, but by early Sunday afternoon only a few campers remained. We went down to the office to pay for Sunday night but no one was there – i n fact no one had been there since Friday evening. So, we left our payment in the honor box. 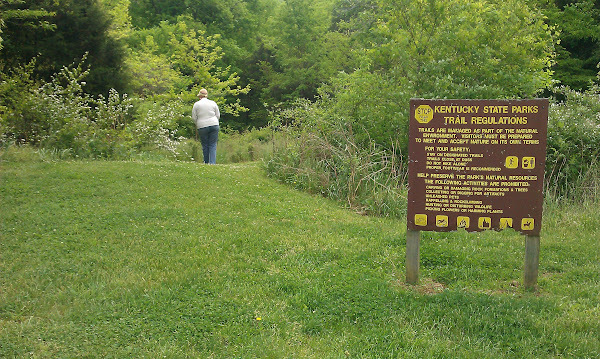 The weather was sunny and cool so we decided this would be a good day to explore some of the trails, so we took a long walk thru the woods and walked around the campground identifying the most and least desirable sites. Later we decided this would be a good campfire day so I scoured the woods for fuel. 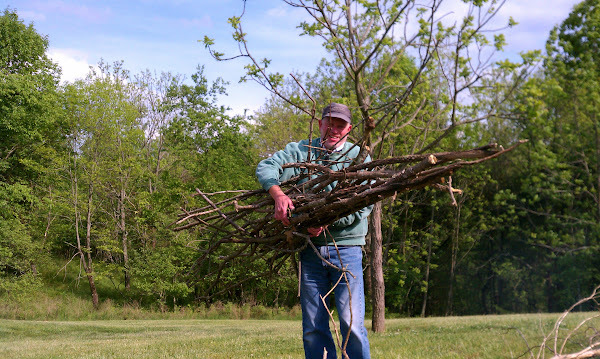 The campers across from us had cleaned up every scrap of leftover firewood on all the sites around us and brought it home with them. But not to worry, there was plenty of fallen branches and dead trees just a short distance away. 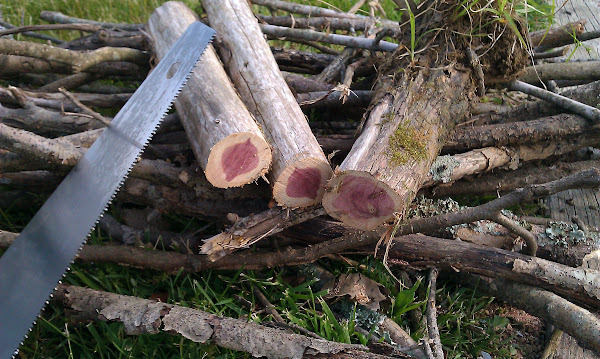 I even found a small dead aromatic red cedar that I cut up into small logs. 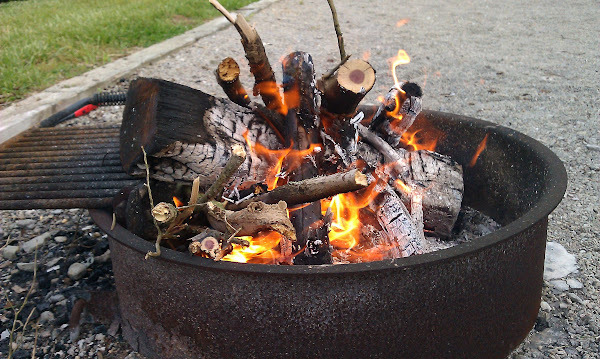 It was a bit chilly by this time so I started the fire with a piece of a Duraflame log – this works well to keep the fire going initially and is much safer than the lighter fluid we see other people using. We pretty much burned all the twigs and logs we found and ended up with a nice hot fire, good thing too because it was getting cold! The coals were even still providing a bit of heat the next morning. Click here for a short video clip of this nice fire.